Seeds are the first link in the food chain and the repository of life’s future evolution. As such, it is our inherent duty and responsibility to protect them and to pass them on to future generations. The growing of seed and the free exchange of seed among farmers has been the basis to maintaining biodiversity and our food security. Today, the threat is greater. We are witnessing a SEED EMERGENCY at a global level. The disappearance of our biodiversity and of our seed sovereignty is creating a major crisis for agriculture and food security around the world. The current industrial food system based on monocultures, widespread use of agrochemicals, commercial/patented seeds and genetically modified seeds is a major contributor of the disappearance of 75% of plant genetic diversity in the last century. Of the orignal 10,000 species, barely more than 150 species are now under cultivation and the great majority of mankind is now living off no more than 12 plant species. to evolve, breed and save their seed is threatened by today’s property rights and new technologies which have transformed seed from a commons shared by farmers to a commodity under the control and monopolies of giant agro-corporations. Seed laws, IPRs (intellectual property rights) and patents today criminalize age-old farmers’ seed breeding, seed saving and seed sharing. Through false promises of higher yields, and less use of fertilizers and herbicides, industrial agriculture’s mechanistic and reductionist approach is robbing peasants and farmers of their means of livelihood, making them dependent for their seed on predatory agri-business multinationals. These false promises have led to indebtedness, poverty and underdevelopment, displacing huge numbers of peasants to overcrowded urban cities and has led to the epidemic of farmers’ suicides because of debt. In the 1990s, we were told that genetically modified organisms, brought to us by the same poison cartel, were the panacea for hunger. There was an exaggerated claim that GMOs would remove all limits of the environment, grow food in deserts and toxic dumps. Today we have only two GMO applications: herbicide resistance and Bt toxins in crops. The first was claimed to control weeds but has created superweeds. Bt crops were supposed to control pests but they have created new pests and superpests and have pushed thousands of farmers to suicide. On their quest for maximum profits and control of the world’s seed production, these giant corporations, who first introduced toxic chemicals into agriculture, today freely contaminate the health of the earth and people by spreading huge quantities of pesticides and herbicides around the world. Through genetic engineering and patents they now control over 60% of the world’s seed production. Seed affects all life on earth and every human being. 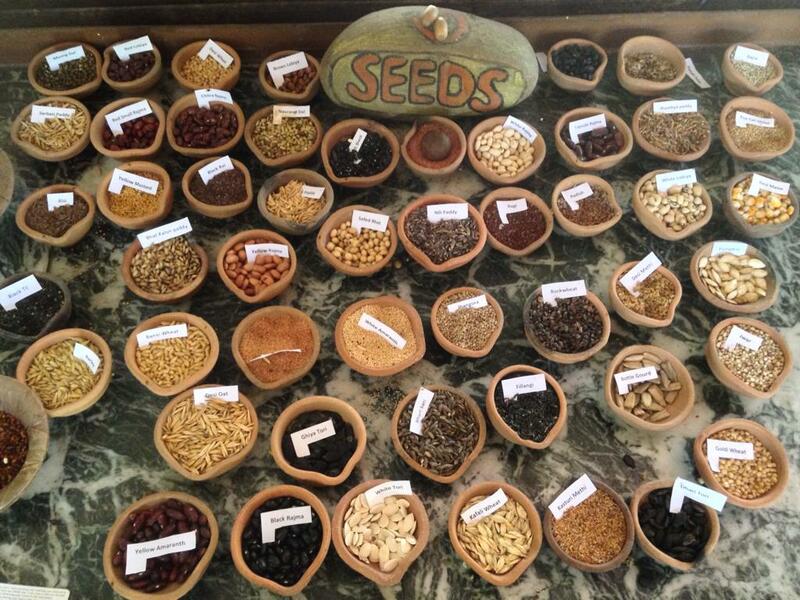 Farmers have bred open source seeds for health, nutrition, taste and diversity. Seeds of freedom for farmers are also seeds of freedom for everyone that eats food that farmers grow. Healthy seeds produce healthy food, whereas seeds bred to respond to chemicals or genetically modified seed contributes to disease and ill-health. Seed Freedom is Food freedom. Open-pollinated organic seeds create the foundation for a mutually beneficial relationship with pollinators like butterflies and bees, soil organisms, birds and insects. Chemically bred seed and monocultures destroy biodiversity both above and below the soil. Diversity is a key feature of nature and is the very basis of ecological stability. Diverse ecosystems give rise to diverse life forms and diverse cultures which are the basis of sustainability. Diversity in nature and society is the source of beauty and creativity, strength and resilience, abundance and wellbeing. Crop Genetic Diversity is indispensable in providing resilience to face unpredictable environmental and climate changes and meet the needs of an ever-expanding human population. As the global offensive against people’s right to seed and food sovereignty is efficiently coordinated, mainly by large multinational companies and major corporations, abetted by the governments and institutions, all over the world farmers are losing their freedom to have seed and grow organic food, free of the threat of contamination by GE crops, and citizens are losing their freedom to know what they are eating. Seed saving, seed exchange and ecological agriculture practices are therefore powerful political acts of civil disobedience, and the foundation of food sovereignty and democracy in our times. The freedoms we enjoy today are the fruits of the struggles which our ancestors and forebears stood up for by refusing to co-operate with unjust laws – whether it was slavery in the US, or racial segregation in South Africa and the US, or the colonisation of India. Our freedoms today are the gifts of their civil disobedience and the ‘satyagrahas’ pioneered by Ghandi. For millennia farmers have been breeding plants, modifying and spreading crops across the planet. Traditionally the selection, preservation and maintenance, as well as the wise development and passing on of seed stock has been, and is still today, the domain of women in most rural communities. The free exchange of seed among farmers has been the basis to maintaining biodiversity as well as food security. As farmers migrated across continents, they brought with them their seed and animals, both of which needed to adapt to new environments and soil types. This was possible because the diverse seed they brought with them was able to adapt to different climates and soil types. Farmers bred their seeds not just for their adaptation to environments but also for their different uses. Thus a farmer could select different varieties of the same crop to suit their specific needs. In India, Europe and Latin America unjust seed and food laws have been pushed back by citizens and movements in the continued struggle for Seed Freedom and Food freedom across the world. Preserving seed for the next season has been a fundamental rule of survival in human history. Systems of rights and responsibilities must be put in place which recognize both the collective rights of local communities as well as the right of seed sovereignty of farmers, including women, and the mutual interdependence between diverse cultures and countries. Navdanya was started 30 years ago to protect our seed diversity and farmer’s rights to save, breed, and exchange seed freely, in the context of the emerging threats of the TRIPS Agreement (Trade Related Intellectual Property Rights Agreement) of the World Trade Organization (WTO) which opened the door to the introduction of GMOS, patents on seed and the collection of royalties. 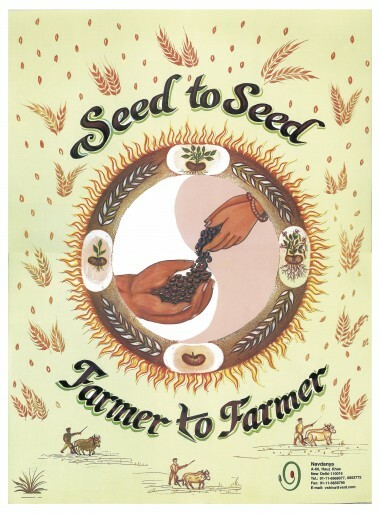 Seed as a common good became a commodity of private seed companies, traded on the open market. 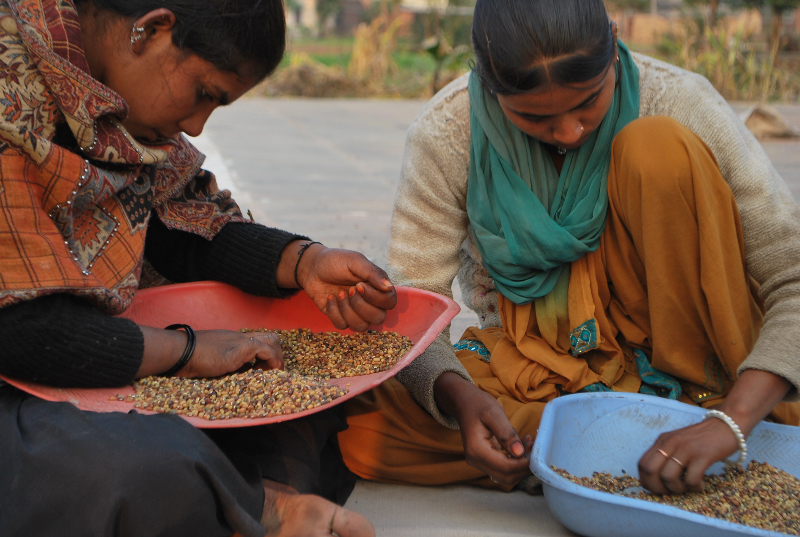 Over the last 30 years, Navdanya has been conserving biodiversity through a network of seed keepers and organic producers spread across 22 states in India and Bhutan. It has helped set up more than 125 community centered, decentralized indigenous seed banks across the country, which are freeing farmers of dependence on costly commercial seeds and helping them move from vulnerability to resilience in the context of climate change. More than 4000 rice varieties have been collected, saved and conserved by Navdanya. Forgotten food crops such as millets, pseudo-cereals and pulses, which were pushed out by the green revolution and expanding monocultures, have been conserved and promoted by Navdanya. Navdanya’s research in different agro-climatic situations confirms that even in the most adverse climatic conditions, biodiversity based organic farming (higher crop diversity) is better capable to minimize the crop losses than that of monoculture-based industrial farming. 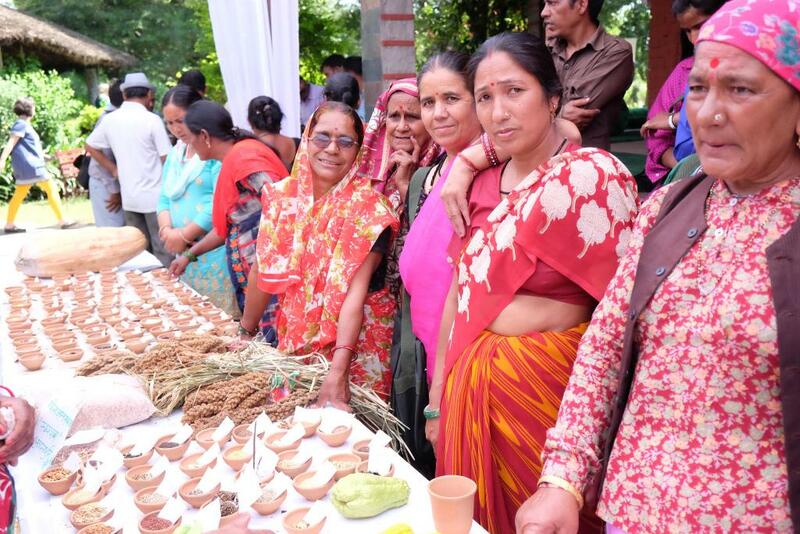 With the increasing number of disasters, Navdanya started conserving climate resilient seeds and encouraged farmers to grow and multiply native climate resilient varieties, starting a program “Seeds of Hope” to help the disaster affected farmers. Since 1998, farmers affected either by floods or droughts have been able to cope with extreme conditions with flood tolerant, salt tolerant and drought tolerant seeds saved by the program seed saving network. Navdanya International launched its global Seed Freedom Campaign in 2012 to bring to citizens’ attention the crucial role of seed in the battle to defend food sovereignty and food safety and help strengthen the movement to save and exchange seeds in response to the growing corporate hijacking of our seeds and our food. In the context of the deepening global seed emergency and food crisis, Navdanya International formed the Global Movement for Seed Freedom as a way of uniting the diverse groups and organisations around the world saving seeds, resisting the criminalisation of seed saving and promoting ecological agriculture, and to add strength to the mobilization against the industrialization, poisoning and impoverishment of our food systems. The Seed Freedom Movement has grown into a very strong and vibrant global community, which continues to expand through the mushrooming of hundreds of local seed groups and networks throughout the world, through festivals, workshops, demonstrations and policy advocacy campaigns. In the last 7 years, the Global Movement for Seed Freedom has connected seed savers with seed defenders, as well as shown how our food sovereignty and climate resilience depends on our seed sovereignty. It has continued to gain ground and has become a powerful catalyst by which movements, organizations and individuals around the world are today taking action everywhere to keep seed free from poisons chemicals, GMOs and patents and to protect farmers rights to save, exchange and sell their seeds. All over the world unjust seed and food laws have been pushed back by citizens and movements in the continued struggle for Seed Freedom and Food freedom across the world, by declaring Seed Freedom Zones within their home, institution, village or municipality, by starting or joining Community Supported Agriculture (CSA) initiatives, by organizing protests, marches and gatherings at offices of seed multinationals, patent offices and local government bodies, as well as by writing letters and submitting petitions to local institutions, local communities and local municipalities to make them aware of the importance of Seed Freedom. Bust most importantly, more and more networks of seed keepers and organic producers are setting up community centered, decentralized indigenous seed banks around the world, collecting, saving and conserving forgotten food crops and varieties pushed out by the green revolution, expanding monocultures and corporatization of the the seed supply, freeing farmers of dependence on costly commercial seeds and helping them move from vulnerability to resilience in the context of climate change.